Today I received an e-mail with some great news. The holiday season is about to start so it’s time for the holiday gift from Veeam. 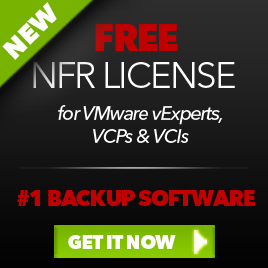 You can register here for the Hyper-V version and here for the VMware version of Veeam Backup & Replication, to get your personal NFR license. This entry was posted in Veeam and tagged NFR on December 16, 2011 by afokkema. 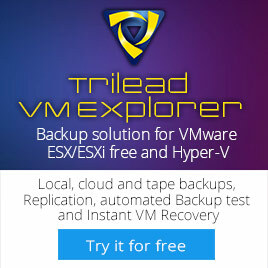 The link you have on your post appears to only be for the Hyper-V version, can you also share the link for the VMware version? Thanks! To clarify – The dropdown of “what is your status” only lists Microsoft related credentials, I don’t see anywhere to select VCP.